The NFL Playoffs are here once again, having the top 8 teams from each conference play to reach the big game. In the AFC, the New England Patriots are the number one seed followed by the second place Kansas City Chiefs having a bye this week during the wild card games. Despite having star quarterback Tom Brady suspended for the first four games in the beginning of the year, and playing three different quarterbacks, the Patriots only lost two games and threw two interceptions all year, having the best touchdown to interception ratio. The other team in the AFC with a first-round bye is the Kansas City Chiefs finishing the regular season at 12-4 and winning the AFC West. The Chiefs pulled out close games during the season against the Oakland Raiders and the Denver Broncos that allowed them to have a secure spot into the playoffs. For the Wild Card match-ups in the AFC, there was a game on Saturday, January 7, between the Oakland Raiders and the Houston Texans. The Raiders, using backup quarterback Connor Cook, were completely over-matched and lost to the Texans 27-14. The other AFC game will be played between the Pittsburgh Steelers and the Miami Dolphins on Sunday, January 8. 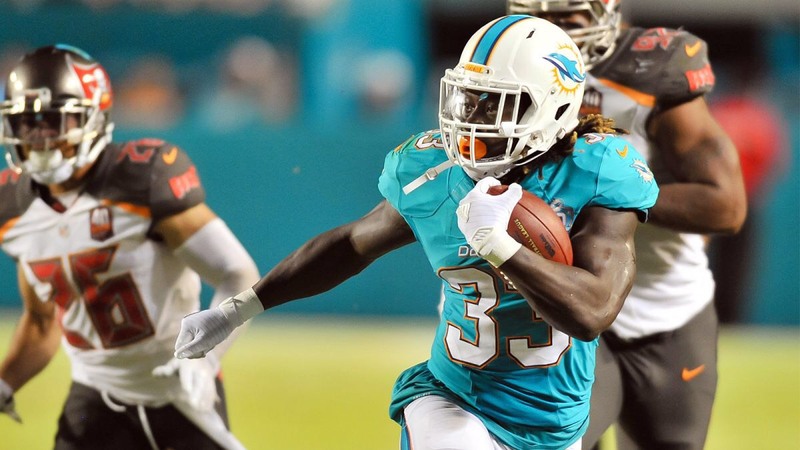 The Dolphins stunned the Steelers and the NFL in the beginning of the season. Pittsburgh has improved tremendously since that game and clinched their playoff spot on Christmas Day vs the Baltimore Ravens, helping ensure a wild card spot for the Dolphins as well. Sunday, January 8th, 2017 at 1:05 P.M. Miami Dolphins @ Pittsburgh Steelers. 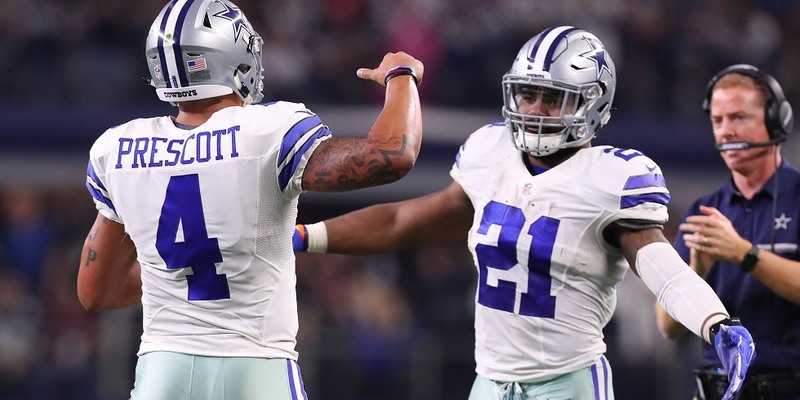 The NFC has brought out some high quality Super Bowl contenders this year, including a young Dallas Cowboy team that went 13-3 in the regular season. The Cowboys won the division despite losing two games to the New York Giants and one to the Philadelphia Eagles. Dallas’ offensive line and the play of their rookies has been top notch this season allowing them to secure a first round bye in the playoffs. The Atlanta Falcons are the number two seed in the playoffs winning the NFC South with a record of 11-5. The Falcons played pretty well throughout the season and the Matt Ryan/Julio Jones connection has been very strong. They are seemingly in a good spot going into the playoffs. There are great match-ups in the NFC wild card this year which will bring even better divisional match-ups. First was the game between the Detroit Lions at the Seattle Seahawks. The Detroit Lions finished second in the NFC North behind their rival the Green Bay Packers. On the other hand Seattle had a shaky season themselves finishing at 10-5-1, but lately had been using their assets of Jimmy Graham and mobility of Russell Wilson to their advantage. In the end, the Seattle Seahawks utilized the strength of their running game and dominated the Lions 26-6. The other NFC wild card being played is the New York Giants against the Green Bay Packers. In order for New York to win, they will have to play a flawless game because the Green Bay Packers have been red hot and no one has been able to stop them. In order for them to make the playoffs they had to run the table and that is what exactly what they did. Aaron Rodgers is going to be very hard to stop because in the last 7 games he has thrown 18 touchdowns and 0 interceptions. Although, the Giants have been playing some pretty solid defense this season being 1st overall in the red zone and 2nd overall in points allowed per game. Sunday January 8th, 2017 at 4:40 P.M. New York Giants @ Green Bay Packers.